When you see a house, you see the paint, the color, the quality and how it fits with the rest of the house. It’s all about shades and flavors and so many factors that make things much more complicated than you would think. But that’s why Carolina Painting & Pressure Cleaning is here to lay out a guide to this kind of home improvement that has so many intriguing facets and possibilities. This blog series will cover everything from picking your color to the type of paint and beyond. We’re sure you can guess that interior and exterior paint are nowhere near the same thing. 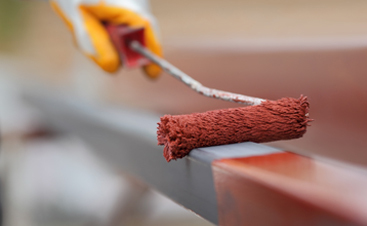 The binders and additives in exterior paints are made to resist the elements while interior paint will not be able to hold up against the weather. When painting your home, start with what your home facade is made of. 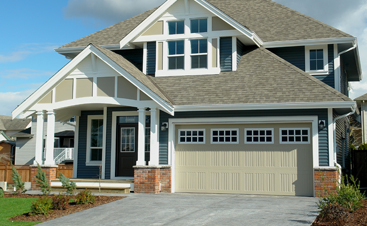 Siding and wood are flat surfaces and allow you to choose your standard outdoor paint. If your exterior is made from a textured surface like brick or stucco elastomeric paint is going to be your best option. This type of paint is capable of stretching so it can fill in gaps and crevices without issue. You might consider the type of climate you’re living in. If you live somewhere with high winds and lots of rain, we’ll recommend an oil-based paint since it’ll fare better against these elements. If you’re located in a place like Arizona, or somewhere with a lot of sun, a latex paint is going to be the route you’ll want to take. Be careful to avoid latex with a high vinyl content. Instead,look specifically for acrylic resin which is the most durable binder for outdoor paints. There are some specialty paints that hold up well against certain elements. Like mold-resistant and flame resistant paints. It is important to keep in mind that high-quality paint and a professional painter is an expensive project to embark upon, this is also one of the largest investments you’ll make. As a homeowner, the appearance and continued upward value of your house are of extreme importance to ensure a return on this asset. This is the entertaining part! You get to decide what your home is going to convey for passer-bys, visitors, and to you for a long period of time. Before you begin, it’s best to choose a style pallet, and determine if you’re hoping for a modern look, colonial, Spanish/Mediterranean, or Victorian/Tudor. Then, it’s advised that you take the surrounding environment into consideration when choosing if you want a cool color scheme, neutral, or warm. The color of your home is the personality of your home. So just like when you’re picking clothes, pick out colors that enhance its personality. Make details that are attractive standout, like entryways, windows, and shutters, as well as detail work, should be emphasized. Avoid drawing the eye to things like gutters, downspouts, external air conditions and unevenly proportioned windows. Contact your Top Rated Local® Carolina Painting & Pressure Cleaning, Inc. for all of your Columbia painting projects. We’re excited to help capitalize on your home’s beautiful features with a great color and paint type.